Cube-style. Water-cooled. Self-contained condenser. High pressure water regulating valve. 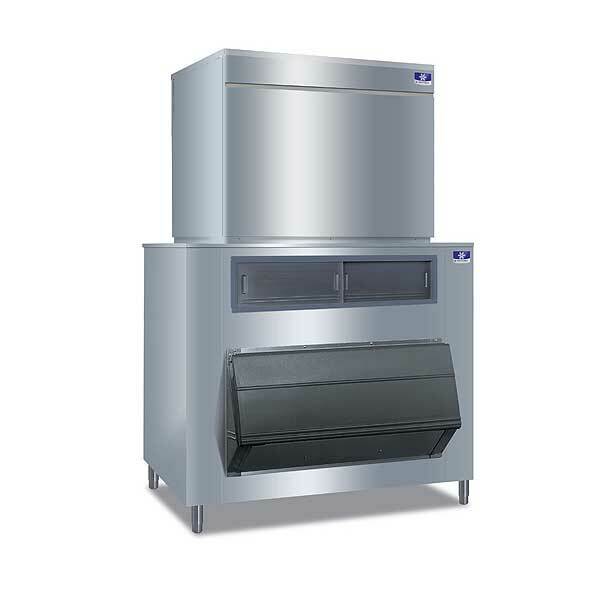 48"W x 31"D x 36"H. Production capacity up to 2584 lb/24 hours at 70°/50° (3200 lb AHRI certified at 90°/70°). Stainless steel finish. Half-dice size cubes. 5 HP. NSF. CULus. Dimensions (Inches): Width 48. Height: 36. Depth: 31.